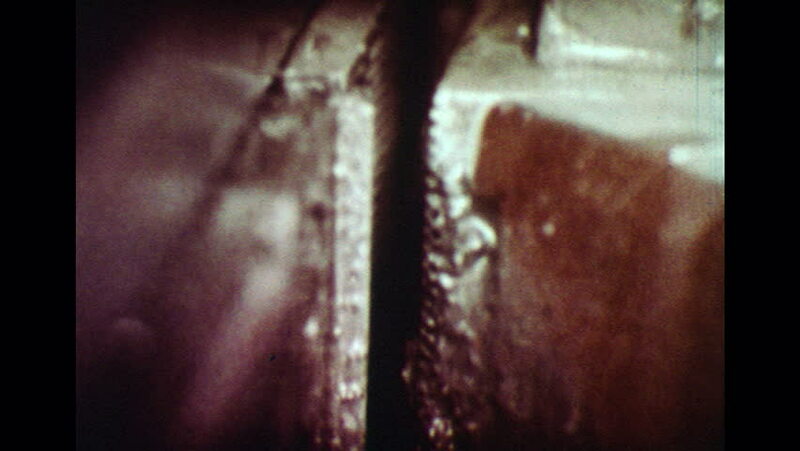 UNITED STATES 1960s: Slow motion close up of machine threading screws. hd00:221960s: Man taps wood board on boat dock with foot. Children are playing on dock. Girl falls in water. Man puts watch in pocket. Man answers phone in phonebooth. hd00:15UNITED STATES 1970s: Car Drives Along Road through Fields. 4k00:06ATHENS OHIO 1966: one man in purple shirt and lady in red-black top doing something with bicycle of road side. 4k00:09WAUCONDA, ILLINOIS 1968: firefighters battling flames that have spread to a second house.